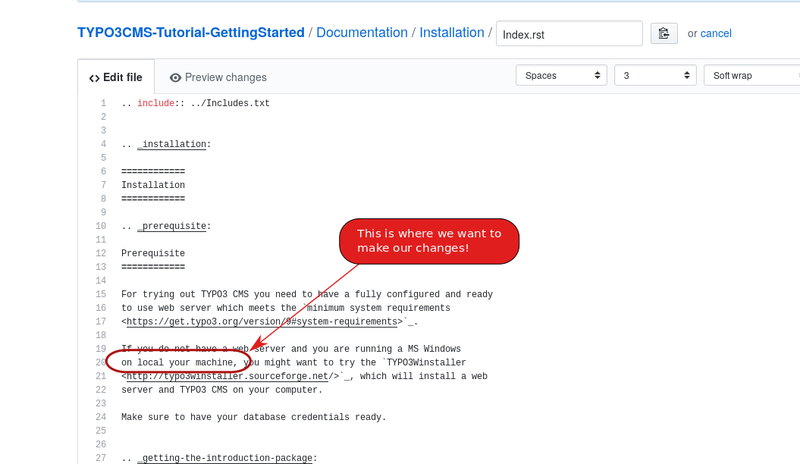 The community is welcome to make changes to the documentation. Any help is appreciated! You can start with very minimal knowledge and learn as you go along. Your changes will not be visible right away, someone must merge them. So, don't worry about breaking something! 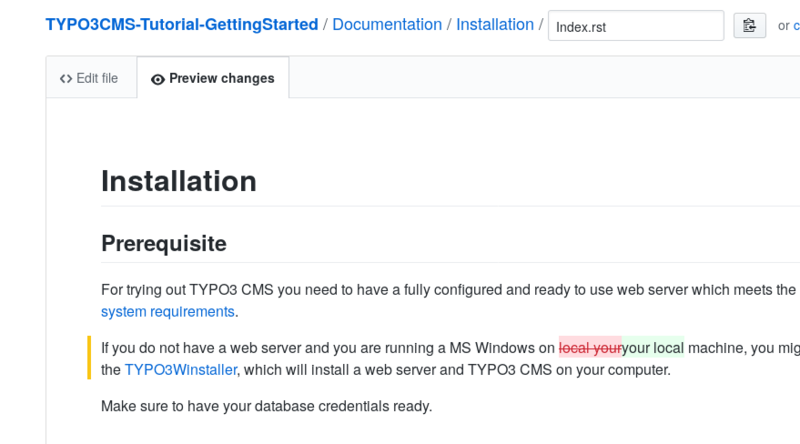 If you are familiar with Git and Docker, you may want to skip straight to Local Editing and Rendering with Docker, which describes the local workflow. If you're stuck at any point, don't hesitate to ask for help. Pick a manual, for example Getting Started Tutorial or Installation and Upgrade Guide and find a page there, that you want to change. You should find the button on the top right of any page! Click on the green button to fork the repository. You should now see an edit window where you can make your changes directly. The settings "Indent mode: Spaces" and "Indent size: 3" should already be correct, by default. Don't change that. The files are written in reST format. You can learn more about reST when you need it. For fixing simple typos and editing unformatted text, you should be ok without knowledge about reST. Click on "Preview changes" to see what you changed and how the final result might look like. Go back to the edit window and make more changes any time. When you are ready, scroll down to the bottom of the page. Add a short (!) 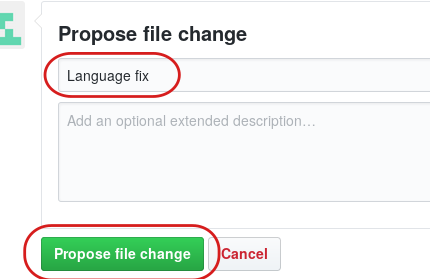 text describing your changes and click on "Propose file change"
GitHub will now show you an overview of your changes. 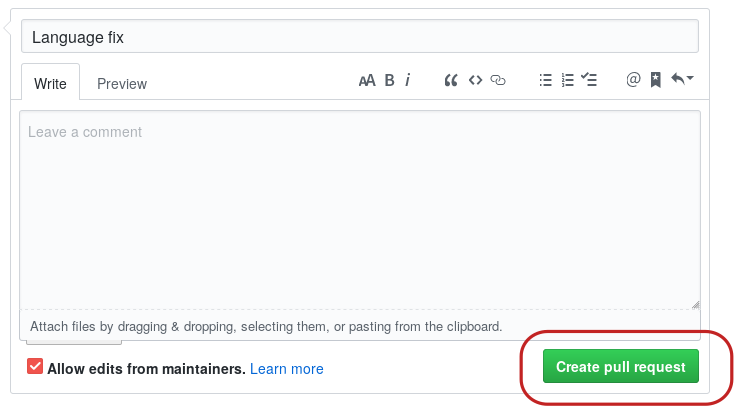 If this is ok, click on "Create pull request". Well, almost. Your change will now be reviewed. A reviewer might suggest changes. Monitor your notifications (email) from GitHub. If at any point, you are not sure what to do, don't hesitate to ask for help. 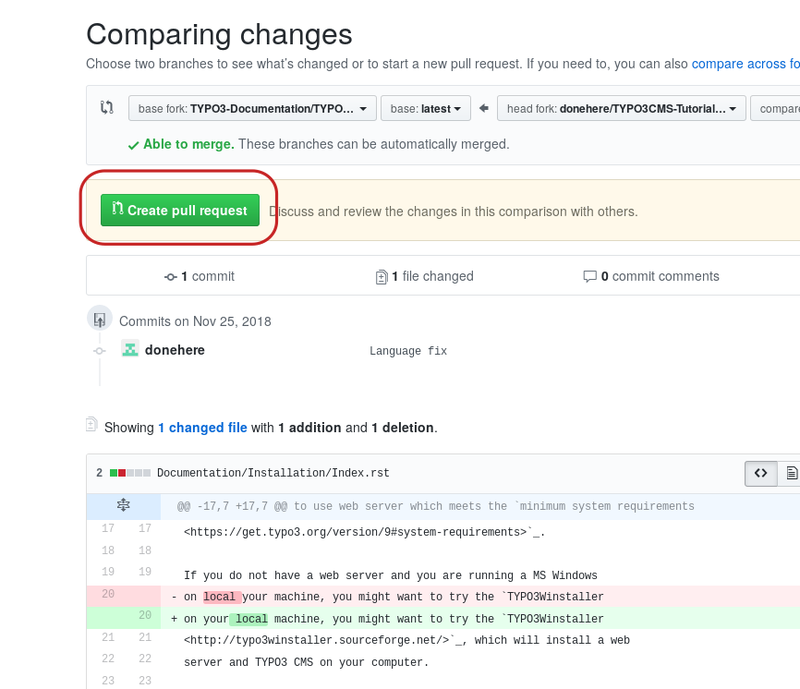 When your pull request is accepted, it will be merged. You will get a notification (email). Congratulations! You are now a contributor. Welcome and thank you! Wait a few minutes for the changes to be automatically rendered, and then reload the page (which you fixed) in your browser. 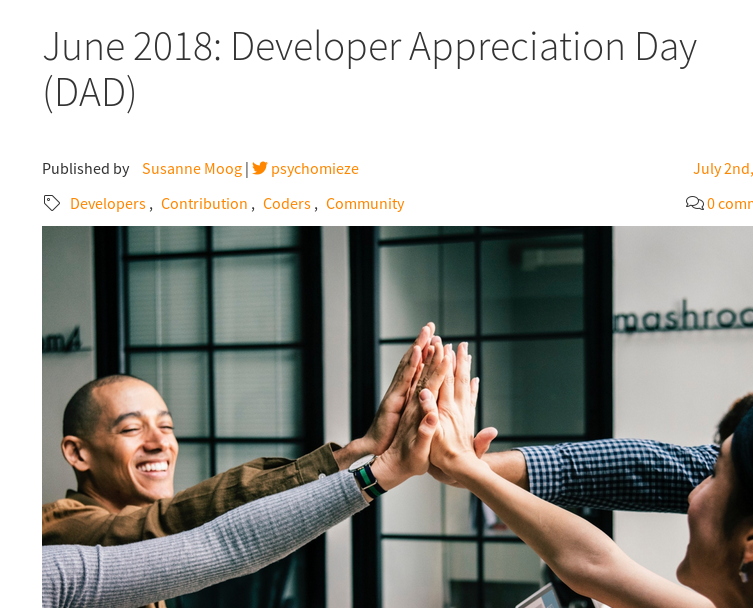 Next month, you can find your name on the "Developer Appreciation Day" (DAD) page on the TYPO3 Blog. See June 2018: Developer Appreciation Day for an example.